This week on the show, Zat Baraka joined me to talk about Men’s Deep Inner Work and men’s evolution and awakening. He also talked about men’s personal/spiritual growth, vulnerability, and leadership. I also talked about the book “This Is Marketing” by Seth Godin. 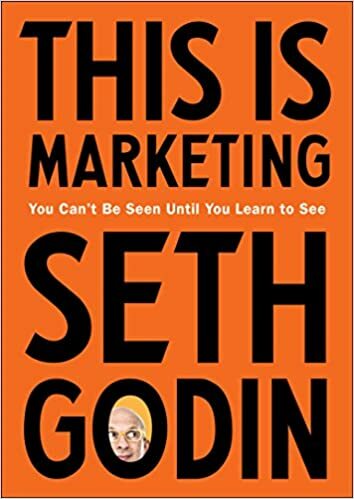 The book contains everything Seth learned about marketing, bringing an idea to the world, and creating a business that impacts people. Next week, I will choose the best review of my podcast on iTunes and give a copy of this brilliant book so don’t forget to give this podcast a 5-star rating and send me reviews on iTunes. Zat Baraka is a student and teacher of Men’s Deep Inner Work and is the founder of The Men’s Coach Training and The New Masculine Program. He has radically affected thousands of men across the globe with his cutting edge men’s work. His down to earth approach challenges men to understand the mature masculine, not as an abstract philosophy, but as an embodied knowledge through living as authentic, empowered, creative and compassionate men. His extensive training of over 25 years includes Tantric Buddhist practice, a masters in Spiritual psychology and active involvement in the men’s personal growth movement for over two decades. Knowing that he can only take his clients as deep as he goes himself, he remains active on his own inner work path.